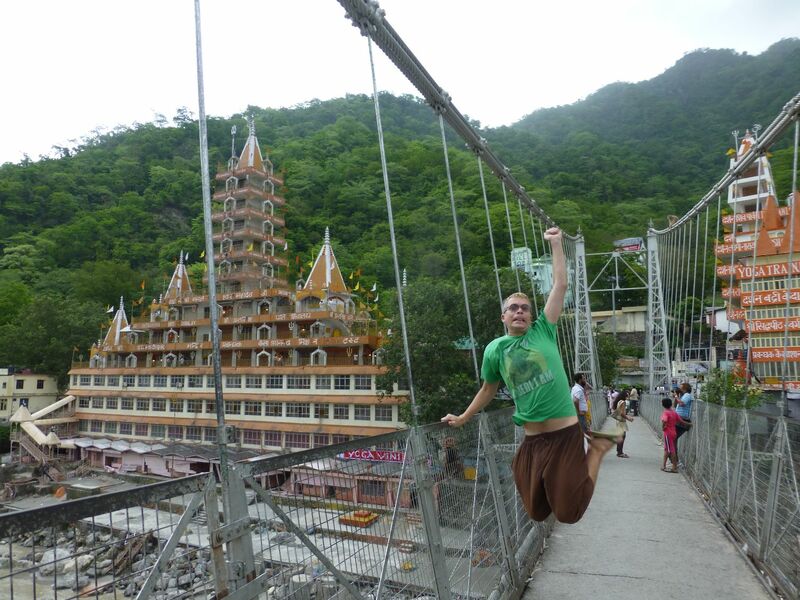 Rishikesh was made famous by the Beatles, who stayed there when they visited India. The ashram that they stayed at is no longer active, but it is still a really interesting place to visit. It’s about an hour’s bus ride from Haridwar. 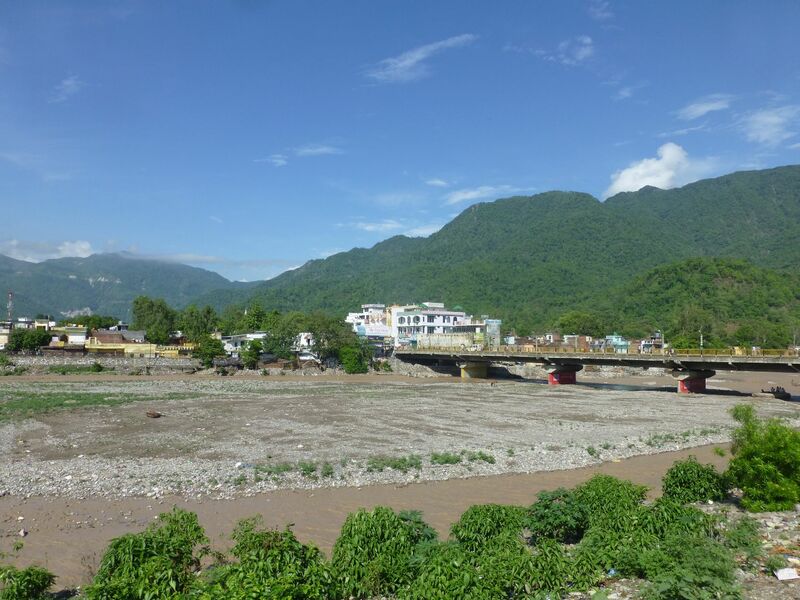 When we arrived there were relief workers everywhere – tragically, that week there had been flash flooding in the hills and thousands of pilgrims had been killed. 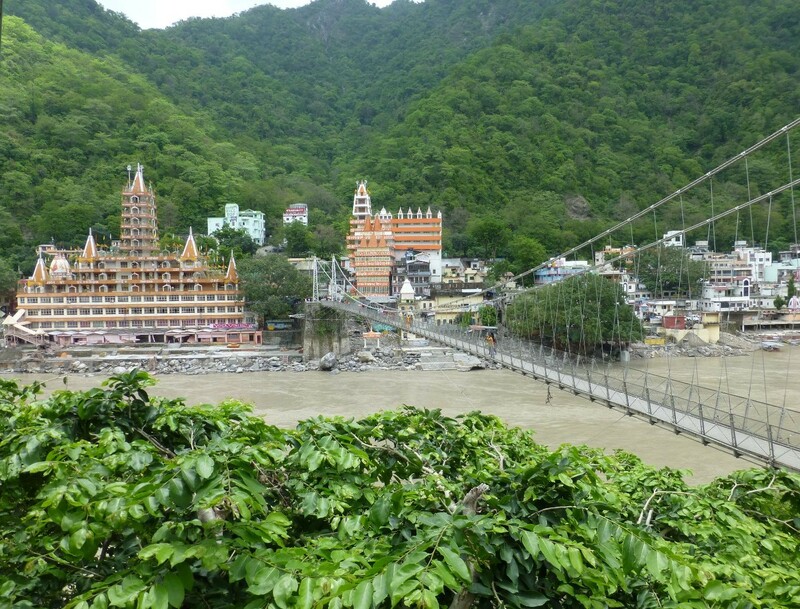 In Rishikesh itself there was little sign of the damage, except the river was much higher than normal and a statue of Shiva that used to stand in the river had been washed away totally in the floods. 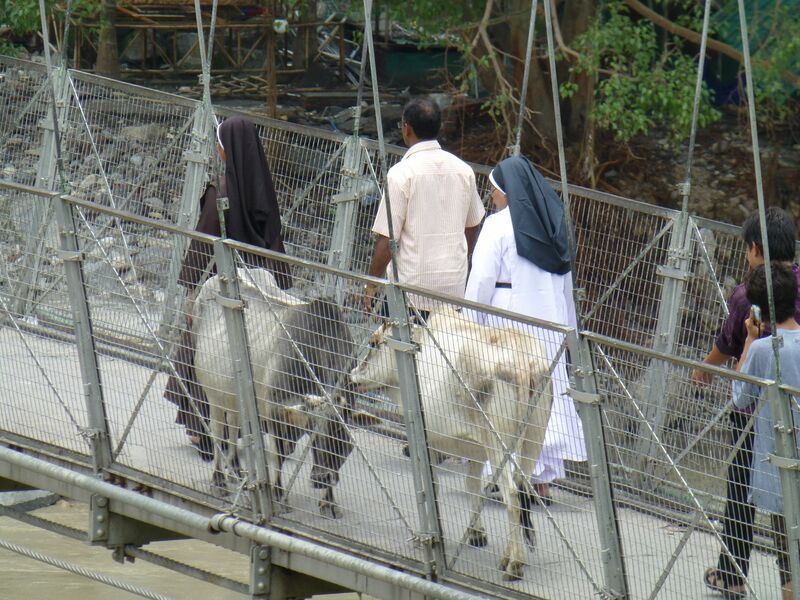 We started our day by taking a vikram (shared autorickshaw) to Laksham Jhula, a famous bridge over the river. We had a snack at the German bakery overlooking the bridge, then walked across the bridge (dodging the cows and motorcycles) to the temple. 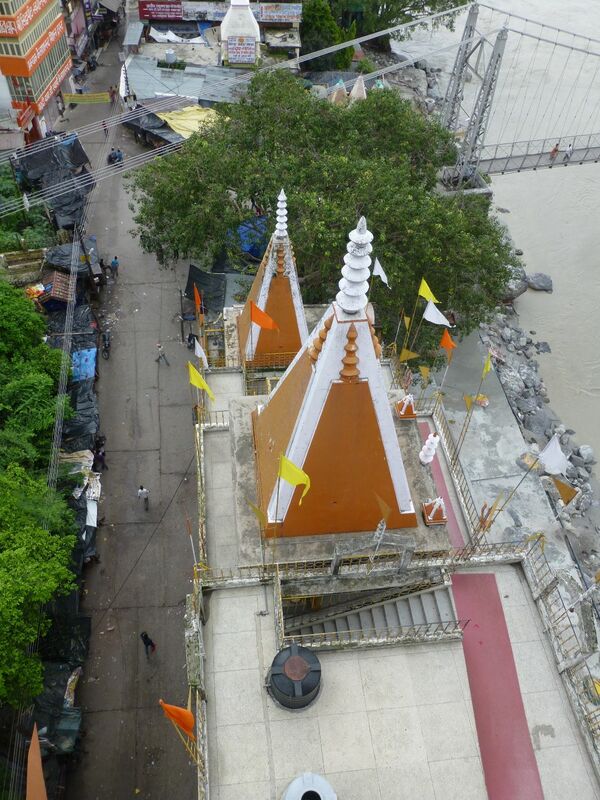 Here we climbed thirteen stories to the top of the temple – the views out were great (see above). 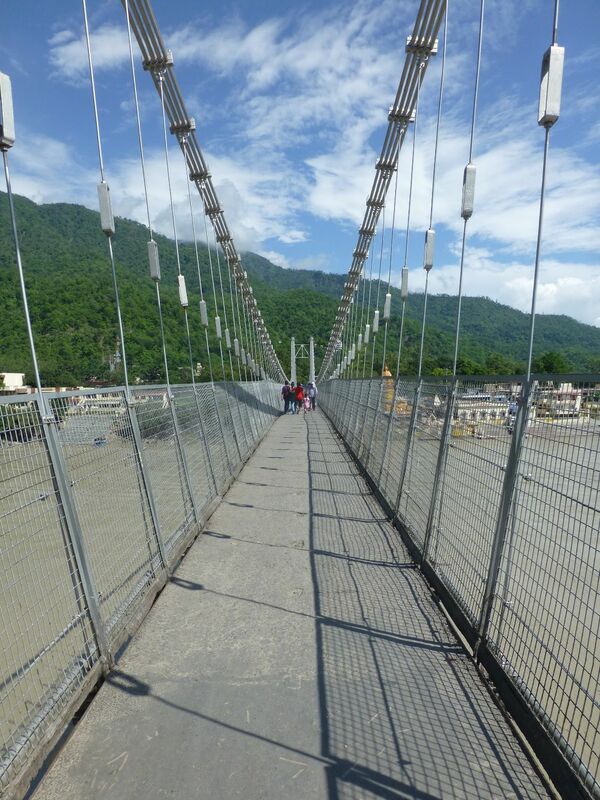 After a coffee break we walked down to the second bridge, Ram Jula, where we went to Choti Wala for lunch. 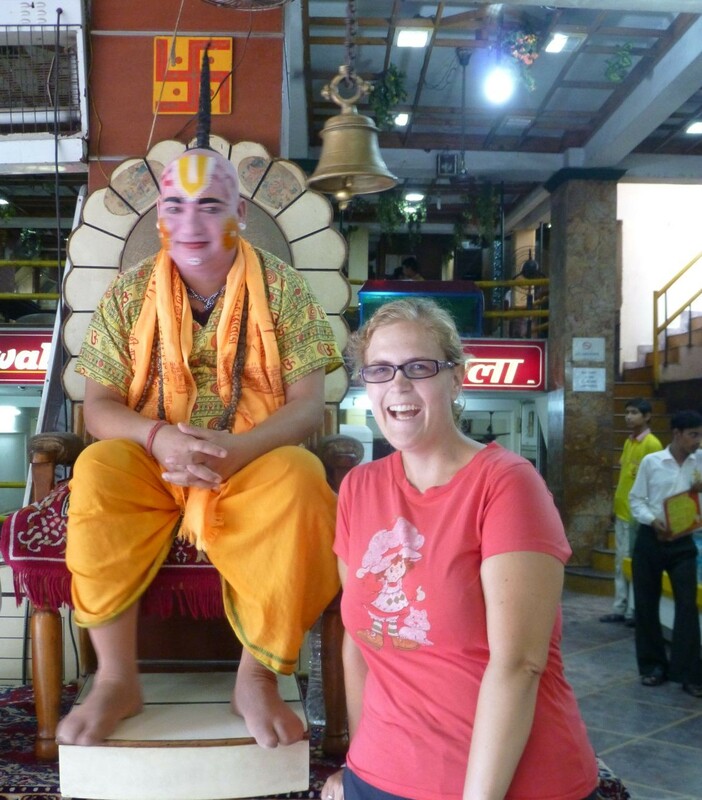 Choti Wala means little person – and outside the restaurant, Choti Wala himself sits. There are actually two Choti Wala restaurants side by side, each with its own Choti Wala – they were owned by brothers who had an argument and then split the restaurant. 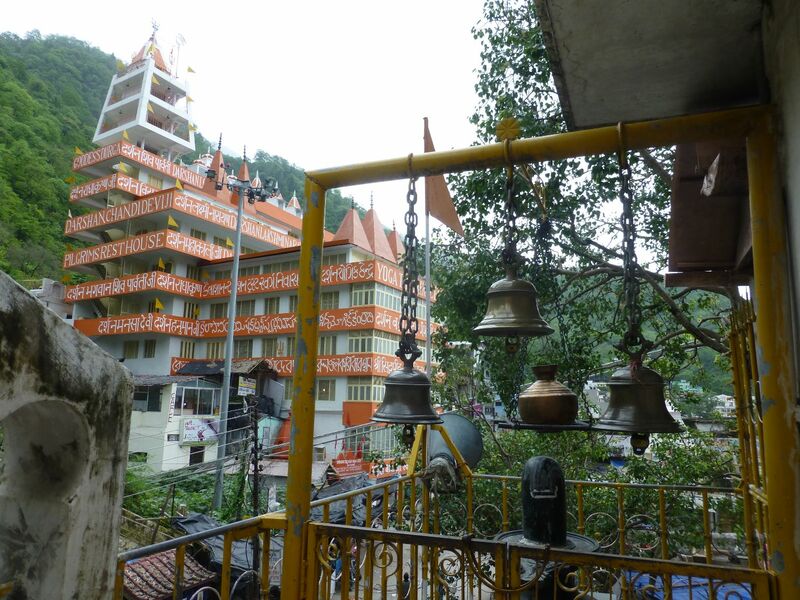 After walking back across Ram Jula we headed back to Haridwar – our bus was free, which was another relief effort. We had lots of free food and drink offered too but decided to leave that for people who had been affected by the floods! .. and the twin restaurants.